I think this is just a great paragraph about procrastination. As an artist, I struggle with this every day. It took me a year to get started on this web site. One of the things I love about Poe is the way he explains basic human nature through the characters in his stories. He's not up there in the clouds, writing some esoteric crap. Although Poe had the intellect to argue with the best philosphers, he is right here on the ground with the rest of us. What I am trying to learn is how Poe, with such an imagination as he had, didn't succumb to procrastination himself. It almost makes me tired just thinking about the volume of works he produced, not to mention the vast array of material that he read. Poe didn't watch television, and he didn't play video games. I wonder how he would have fared in today's society, with the overload of media that we are hit with each day. "I am on this site when I should be writng grade reports. I play solitaire or Sudoku instead of reading the stacks of books I want to read or heaven forbid, work on any of the art projects that gather dust. Most of my photographs are in the "Under-the-Bed" gallery. My last show was in a coffeehouse six years ago... no work in a REAL gallery since 1981. At least, I see the result of your labor: a well-designed web site. I applaud you. I despair for myself." "Thanks for the compliment on the site. As I said above, It's always a struggle to force myself to sit down and do the things I HAVE to do when I would much rather be out wandering around, taking pictures. This site was finished because no one was paying me to do it and I didn't have a deadline. =)"
"For me, this quote is odd, and I'll tell you why. My whole childhood and whole adolescence, until now I've been craving to write a novel. I have the idea and I have the characters. I have dozens of drafts of the first page, but no novel yet. And all this because I'm the greatest procrastinator you'll ever meet. I should be writing an essay for school right now, yet I'm submitting comments to this forum. That quote is odd to me because I've always thought that a great artist doesn't ever procrastinate. I always thought that's how they all wrote their novels and stories. And now I realize I was wrong all along and Poe himself was probably as much of a procrastinator as I am, or as we all are! Maybe procrastination is the key to success, after all. As we wait, we gain more experience, more style and more ideas. So maybe continuous work on a project isn't that useful, after all." "I truly agree with this quote from Poe. I'm 14 so theres a lot of things I could use as excuses for my lack of work like walking the dog and homework, but after that it's just plain sitting there. I've written half of a mild chapter book, but always hold it off 'til to-morrow, as Poe puts it, but it's always a day away as Annie says. Well I guess I still have time. ^.-"
"Such a great site on Poe ... Procrastination may allow the subconscious human impulses to build to the breaking point, to erupt finally, all at once, in a frenzy of ideas and words." "Going to get it done, <br />gone off of my list, <br />but what kind of <br />accomplishment is THIS? <br />Gone for a day? <br />Stress for my deadlines, <br />tearing me away, <br />from what REALLY matters today, <br />blood, sweat, and tears, <br />ACTIVATE my fears! <br />Tell me, how does this help, <br />I cannot go on, call me lazy, <br />whatever, no masks I will don, <br />am I truly wrong, <br />for WANTING to devote my time, <br />to something healing ALL of us, <br />both yours and mine? <br />Both yours and mine?" "I found this site procrastinating instead of writing about my favorite author but still I love to constantly read his poems and stories. I never stop procrastinating so be it. my sorrow will never end but it doesn't kill me." "It seems to me that what Poe is describing is fear, the terrible fear that artists have to overcome, to get anything done. Is it fear of self-revelation? Or fear of failing in the purpose, or fear of self-discovery and of finding the self lacking? 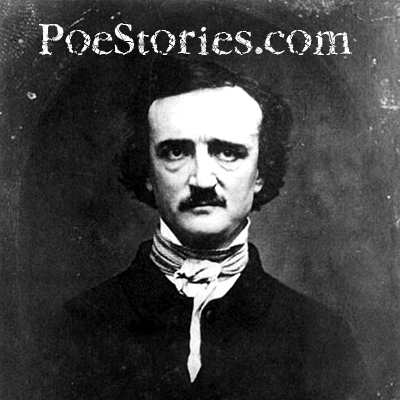 (Poe writes of being misunderstood, doesn't he, of being thought mad? Madness is a great theme.) Whatever it is, I have it. Your site is extremely interesting - thank you. I'm about to start an MA course in Creative Writing and I think Edgar Allan is going to figure as compulsory reading. I may contact you again when I know more. Maybe I'll have to write some kind of paper on him." "Yes. I agree with many posts on here. I am sitting in my English Class supposed to be starting my Powerpoint presentation on my favorite Poe story. What i am really doing is reading all these stories and poems on this website. I will get to my Powerpoint whenever i get home. This is not my lap top and i forgot my flashdrive anyway. Poe is great! peace."